Josef Mercieca heads the tax team as Tax Partner for the Firm. Josef holds a first degree in Accounting and has worked with one of the Big 4 Audit firms in Malta for four years, three years of which heading the indirect tax section. He also acted as the Tax Director for one of the longest established Maltese audit firms for six years where he headed the tax department. 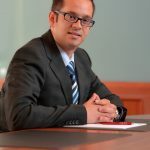 Josef is a member of the Malta Institute of Accountants (MIA) and the Malta Institute of Management (MIM) and has delivered presentations and training on topics relating to VAT, tax and corporate restructuring, both in Malta and abroad. Josef was one of the contributing authors in “Principles of VAT Law” the first ever publication on VAT in Malta and regularly authors articles on taxation. He was an ACCA lecturer for several years. He lectured both the Taxation (F6) and Advanced Taxation (P6) courses for more than 8 years. He also provides lecturing to MIM in respect of place of supply rules in the VAT diploma. Josef has a broad experience in advising local and foreign clients in the set-up of tax efficient structures in particular involving cross border taxation, capital gains tax, property transfer taxes and duty on documents and transfers.